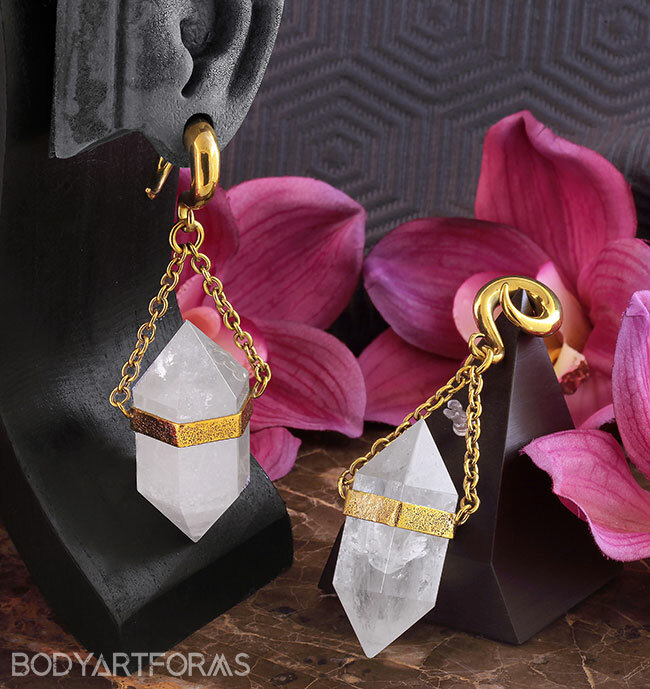 Brought to you by Diablo Organics, these 2g hanging solid brass weights feature a terminated quartz stone that embodies the classic crystal shape. This terminated crystal design is offered in other kinds of stones and sizes. Click here to view them.